ESR rocketed into the suspension orbit in 2016 when Earl Shuler Racing (ESR) became famous for its WP 4CS fork mods at a time when WP’s 4CS forks had stymied most suspension gurus. ESR did this by ignoring the AMA Pro riders whom most big-name suspension companies catered to and, instead, focusing on real-world riders, especially Vet-class riders. It was not that Earl couldn’t make Pro-worthy 4CS forks; it was just that ESR wanted to help local racers. If you’ve never heard of Earl Shuler Racing, that’s because Earl is old school. 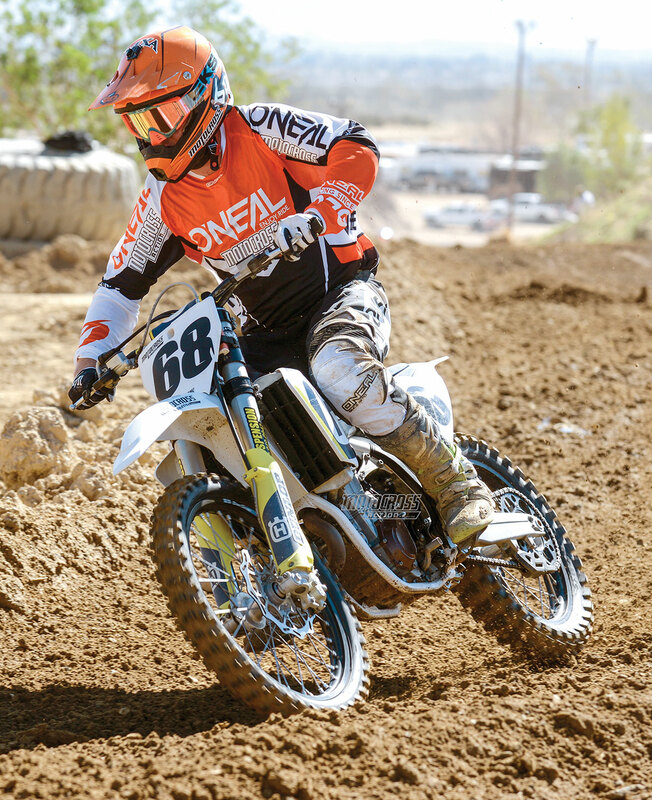 Earl originally earned his reputation by building plush suspension for desert, Baja and cross-country racers, then switched his attention to SoCal’s large Vet motocross contingent where his 4CS mods made him the go-to guy for KTM racers. The MXA wrecking crew knew who Earl Shuler was, but mainly because he and his son raced every week at Glen Helen. With each passing week, however, more and more Glen Helen racers showed up with ESR suspension on their 2015–2016 KTMs and Huskys. So, we decided to give his 4CS mods a try. Surprise! We loved them. They were very absorbent and stayed connected to the ground. ESR eliminated the jackhammer feel that is the trademark of WP 4CS forks. Plus, they didn’t cost an arm and a leg to re-valve. How did the ESR mods work? We took the Ohlins TCX forks off of our 2018 Husqvarna FC450 and put ESR-valved AER air forks on. Truthfully, the test riders felt that the ESR forks were on par with both the Ohlins and Cone Valve forks. They didn’t have that air-fork feel through the braking bumps where most air forks feel like they are dancing around. Better yet, the plushness of the valving helped the AER forks feel more linear in their stroke. We loved the feel of these forks. Plus, they are 3 pounds lighter than coil-spring forks. What is amazing is that ESR is a tiny suspension shop. Earl does things the old-fashioned way—no website, no Facebook page, no high-paid Pro test riders; just happy customers. ESR takes each fork it works on seriously, because it doesn’t have an assembly line of forks. It just works on one fork at a time. The retail price of the WP AER air-fork mods is $459.00 (re-valve, piston kit and new fork oil). For more information, call (760) 949-0942. JAMES STEWART TELLS ALL DOCUMENTARY | WAS IT WORTH THE HYPE?